These shirts are made out of a flat sturdy polyester that has NO stretch. The wonderfully loud fabric is lightweight, but very sturdy, machine washable. The navy blue background is covered with Fuchsia Paisley little Blue Shapes lined with White. 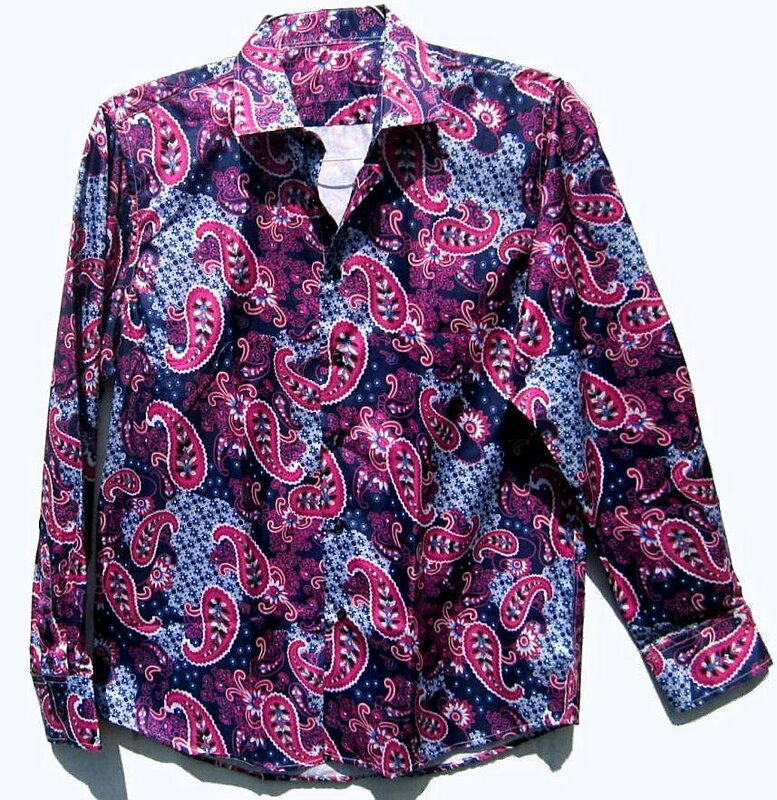 The shirt would go well with jeans or white pants. The shirts have been individually sized for a proper fit. The Large is 47" around at the armpit level for a 42 - 44 normal L fit. Machine wash inside out on gentle. Hang Dry.